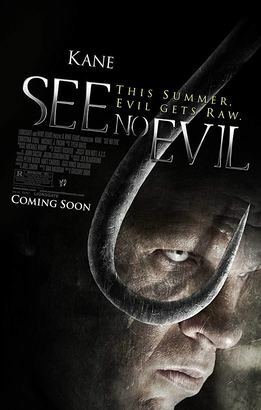 While investigating a call in an abandoned house, Officer Frank Williams and a rookie find a woman brutally blinded, but they are attacked by a huge psychopath with an ax; the rookie is killed and Frank shoots the criminal in the head, but has a severed arm. Four years later, the mutilated Frank is relocated, working as a guard in the County Detention Center. Frank goes with some delinquents to the Blackwell Hotel, an abandoned place since a fire burnt the last two floors, with the purpose of cleaning the location, preparing it to work as a shelter for the homeless; in return, the criminals will have their sentences reduced. During the night, the inmate Kira who has some Christian tattoos on her body is kidnapped by the deranged serial-killer Kane who collects the eyes of his victims, while the rest of the group is attacked by the psychopath with his ax.